Delivering secure, compliant, and frictionless electronic signature experiences across all channels and devices is key for successful digital transformation. Forrester analyst Craig Le Clair sharing results from 25 e-signature implementations and provide best practices for customer adoption, deployment, global compliance, and authentication with a focus on Europe. 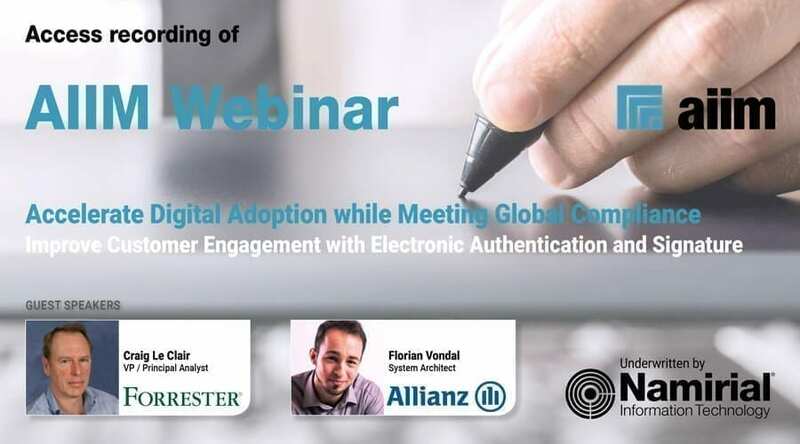 Allianz system architect Florian Vondal illustrating how Allianz Group improves agreement signing experiences for all stakeholders – customers, brokers, and their own executives – along the entire customer journey, from acquisition to contracting and servicing. You will also receive access to a detailed Q&A document with answers to all questions provided during registration and the live event.